From a letter dated May 10, 1912, containing a specimen of a form of the Gothic typeface. In the early days of the typewriter, the typeface was generally determined by the machine, with different machines serving different purposes. 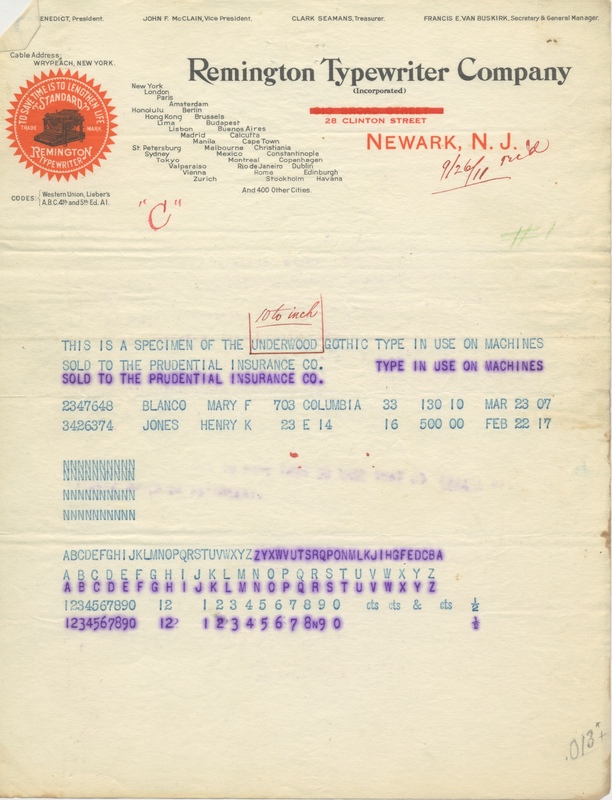 (Some typewriters, like the Blickensdefer, did offer interchangeable fonts, but these machines were not particularly capable of producing multiple copies.) 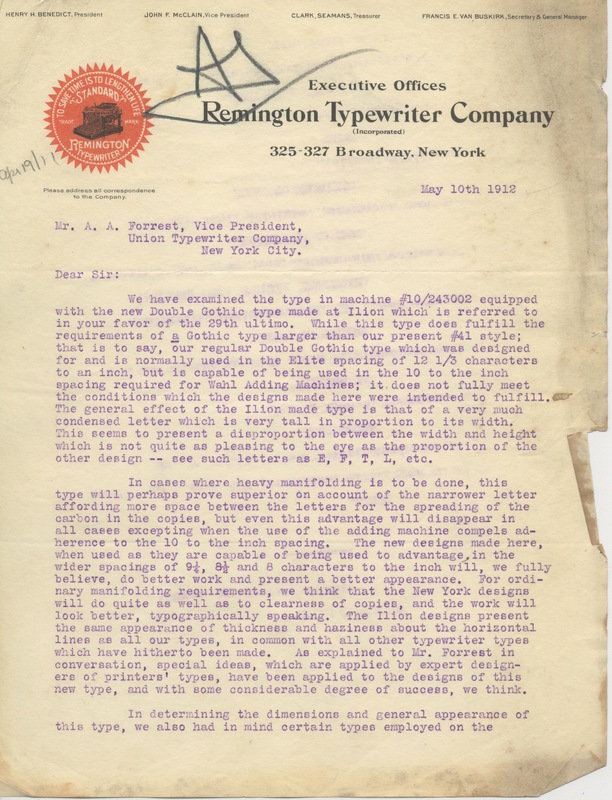 A letter between executives at Remington in 1912 (partially preserved in my collection), offers some insight into the process of designing a typeface for machines making multiple copies. The Gothic typeface appears to have been a sans serifs style of font, that also appeared on the Remie Scout Model in the 1930s. To download, right-click and select “Save as…” or click image to view larger version in browser. "Not in the habit of writeing letters"
Interesting document that shows that the company gave careful thought to this issue. I like the numerals in both typefaces.